For most people, mergers and amalgamations are one and the same. However, from the standpoint of business as well as accounting, there are several important differences between these two terms. A merger is where two or more business entities combine to create a new entity or company. An amalgamation is where one business entity acquires one or more business entities. A merger happens when two or more companies who share similar operations or are engaged in the same line of business combine to expand their services or diversify their activities. An amalgamation usually takes place when a bigger and financially stronger entity takes over a smaller one. A merger can be horizontal, vertical, or conglomerate. A horizontal merger is entered into for the purpose of reducing or eliminating one or several competing companies in the market. A vertical merger is where one company provides raw materials or services to the business or businesses it is acquiring. As a result, marketing efforts are concentrated and there is an uninterrupted supply of goods and services. A conglomerate merger is entered into with the goal of diversifying business activities. An amalgamation can be in the nature of purchase or merger. Amalgamation in the nature of purchase is when one company acquires another where the transferor’s business is discontinued. This means the shareholders of the transferor entity no longer have a proportionate share in the combined equity of the parties to the amalgamation. 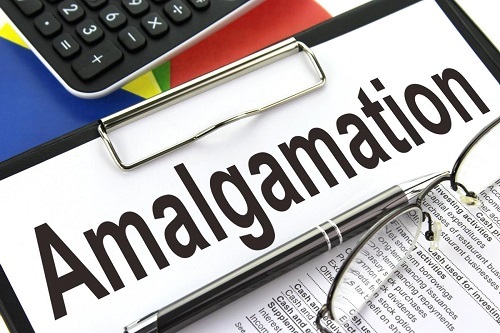 Amalgamation in the nature of merger, on the other hand, combines the assets and liabilities, including the interest of the shareholders as well as the business of the parties to the amalgamation. Parties to a merger lose their individual identities because a merger gives rise to a new entity. In an amalgamation, the company that acquires another retains its identity while the identity of the acquired company is dissolved. The shareholders of the companies who are parties to the merger become the shareholders of the new entity. On the other hand, the shareholders of the acquired company is added to the existing number of shareholders of the acquiring company in an amalgamation. While some mergers and amalgamations can be considered hostile, many of these transactions are undertaken for the betterment of the companies involved. Wendi Garcia. "Difference between Merger and Amalgamation." DifferenceBetween.net. 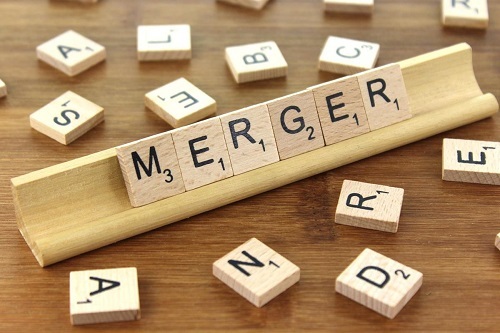 December 21, 2018 < http://www.differencebetween.net/business/difference-between-merger-and-amalgamation/ >. “Difference between Merger and Amalgamation.” Bank of Info. 11 Jan 2014. Web. 27 Nov 2017. “Amalgamation.” Investopedia. Web. 27 Nov 2017. “Difference Between Amalgamation and Merger.” Difference Between. 1 Jun 2011. Web. 27 Nov 2017. Contributor. “Mergers and Amalgamation _ Meaning _ Differences.” Account Learning. Web. 27 Nov 2017.